iPhone is the most money-making device that the Cupertino-based behemoth has invented. And even though the device has incredible power and speed, at the end it is a machine that may face problems. And one of the issues that users are complaining about lately is: my iPhone is frozen and won't turn off. In order to find a fix on this issue, users are leaving no stone under. Users seem to be trapped in a catch 22 situation due to this issue. This issue might occur due to corrupted software or app, shortage of storage, and many more such reasons. In order to get the users out of this dilemma and solve their "iPhone frozen won't turn off" issue, we bring you a list of possible fixes. Let us have a look at these solutions. When any device is frozen, in this case iPhone, user cannot access any of the function through the main interface. But thanks to Apple, for they have provided a back door in case of such emergency. 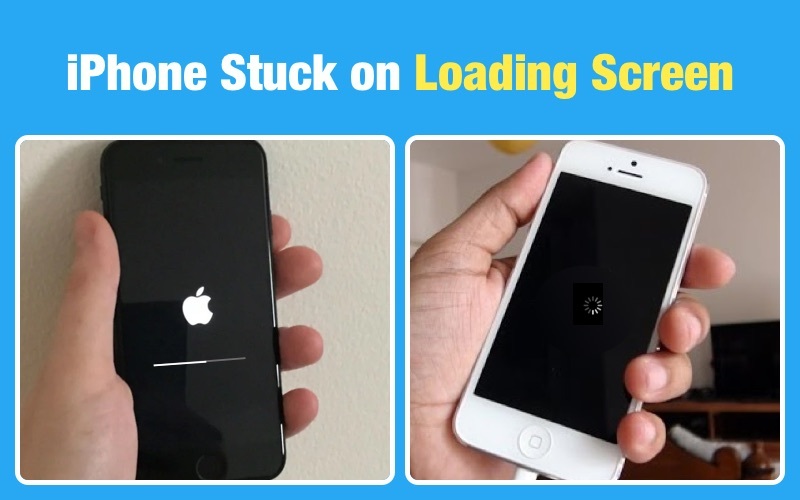 When you face such frozen issues, you need to restart your device to get it out of the stuck loop. Since, none of the functions work in a frozen state, your ultimate solution will be a hard reset or a hard restart. Here are the steps that need to be followed if you need the answer to "how to turn off an iPhone with a frozen screen?" 1: You can hard reset your latest iPhone X/8/8 Plus by simply pressing the volume up and down key. Next, you need to keep pressing the Sleep key till the device restarts and Apple logo appears. 2: You can hard reset your iPhone 7/7 Plus by simply long pressing the volume down and Sleep key till the device restarts and Apple logo appears. 3: You can hard reset your iPhone earlier than iPhone 7 by simply long pressing the Home and Sleep button till the device restarts and Apple logo appears. This method can be used when one of the physical buttons does not work or are broken and you are not able to perform a hard reset. Basically, AssistiveTouch is a function designed to use Home button via your screen. It is helpful for those users who are physically challenged and cannot access physical buttons. You can switch on the AssistiveTouch by going to Settings >> General >> Accessibility >> AssistiveTouch. Here are the steps to follow in order to turn off your device using AssistiveTouch if your iPhone 7 won't turn off. Step 1: Tap the Home button that appears on screen due to AssistiveTouch. Step 2: Tap on the Device option. Now, long press the Lock Screen option until the power slider appears. Step 3: Move the slider to turn off your device. Restoring your device can also help you solve the issue. The logic behind us suggesting this solution is you can recover your device from that time when the issue was not present with the help of a back. Here are the steps that need to be followed for restoring your iPhone from backup from iCloud and solving iPhone won't turn off or reset. Step 1: In order to restore your device, you must erase all the content from it. This can be done by going into Settings >> General >> Reset >> Erase all content and settings. Step 2: No turn on your iPhone. It will start as a new device. From the Apps & Data screen, click on "Restore from iCloud Backup" option. Once you click on the option, log in to your iCloud account. Step 3: Go to "Choose Backup" section and choose the suitable backup. Restoring of iPhone may sometimes have chances of data loss. At such times, you can always use Tenorshare ReiBoot. This tool is ideal for all stuck issues that occur with iPhones and iPads along with all other Apple device. It also offers one click solution to such issues making it easy for the users to solve the issue. Here are the steps that need to be followed to solve iPhone won't turn off after update issue. Step 1: When you run the software, click on "Fix All iOS Stuck" option present on the main interface. When restoring iPhone with iCloud does not yield success, you can try restoring it with iTunes. This is acutely very simple and a bit similar. You will also lose all your data. So, backup your data before hand. Here is a step-by-step guide for you on how to restore iPhone with iTunes if you face "iPhone crashed won't turn off" issue. Step 1: Launch iTunes and connect your iPhone to the PC. Step 2: Select your device when in iTunes. Select "Restore iPhone." Your iPhone will be restored. At the end, if the issue still persists, then your iPhone is under a serious issue and you need to contact Apple for this. This might due to some hardware issue as well. Contact Apple so that they answer your "how to turn off iPhone when frozen?" question. Well friends, you just had a look on the top 6 ways on how you can solve iPhone X/87/6s/6 screen is frozen and can't turn off issue. You can let us know your feedback by commenting below.